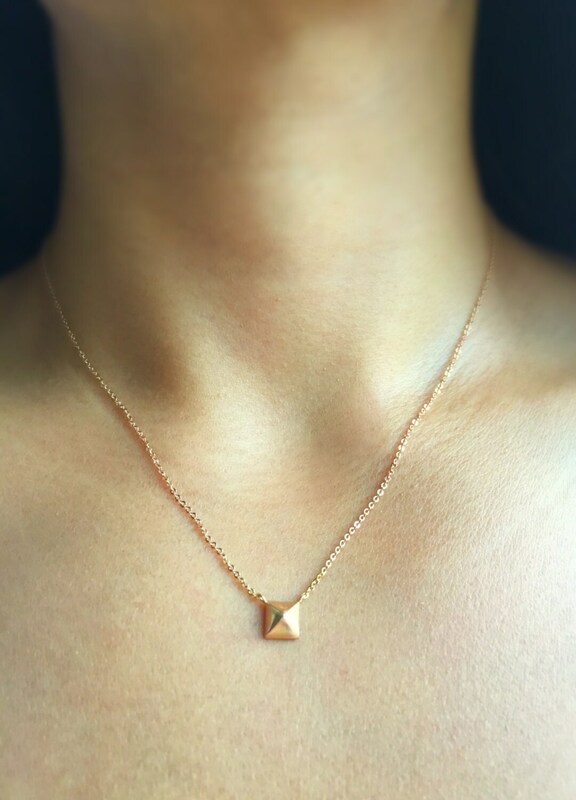 Pyramids symbolize our personal growth and development. Each block of stone used in building the pyramid represents a lesson learned in our lifetime. In order to reach our full potential, each stone or lesson must be placed in order. The larger stones on the bottom supporting the smaller ones on top. When we finally reach the pinnacle, we have successfully completed our journey to spiritual harmony. 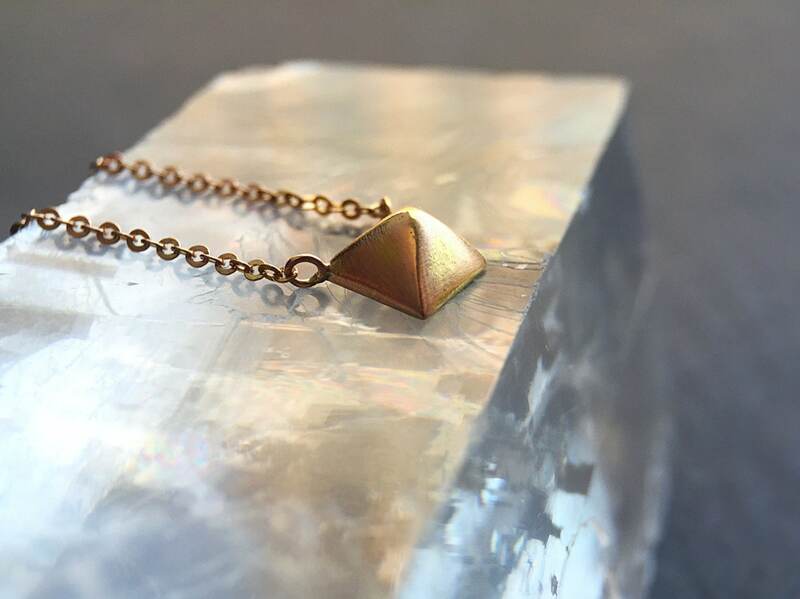 A single solid gold pyramid, in your choice of 14 karat rose (as shown) or yellow gold, hangs on your choice of 16", 18" or 20" shimmery diamond cut 14 karat gold cable chain. 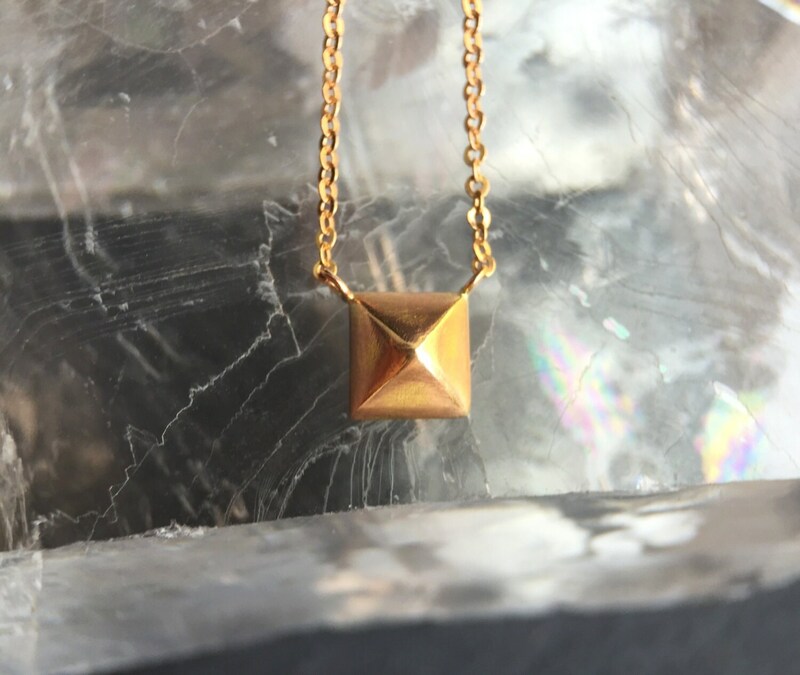 Pyramid measures about 6mmx6mm and weighs .75 DWT or 1.17 grams of solid 14 karat gold. Total weight of necklace is 2.2 grams. A great go to go to necklace. You won't ever take it off. Simple, modern, classic. 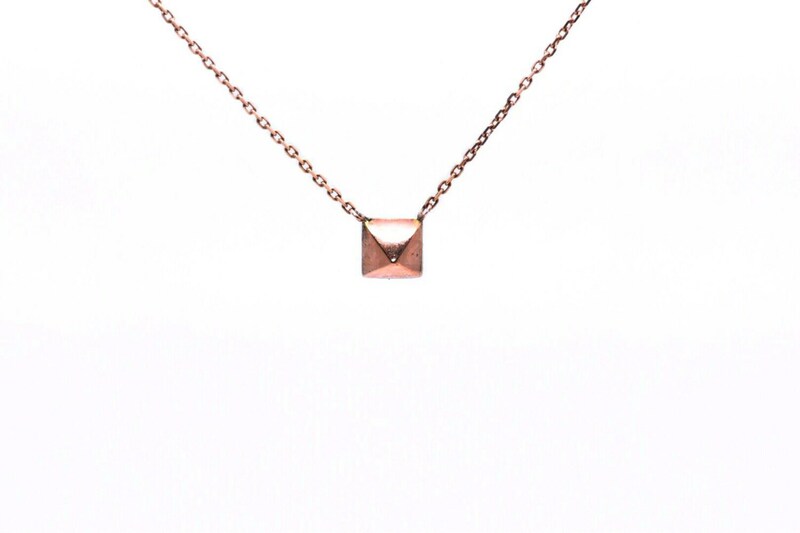 Looks great alone or layered with a longer necklace. Handmade in NYC. Also available in 14 karat white and yellow gold.